Found one file extension association related to Knights of the Temple and 1 file format developed specifically for use with Knights of the Temple. 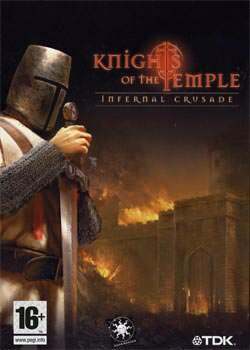 Knights of the Temple: Infernal Crusade is an action-adventure video game released in 2004 by Starbreeze Studios. Paul, a young, newly initiated Templar knight, is faced with the daunting task of trying to uncover the root of the Evil Conspiracy he’s stumbled upon. He will need to obstruct the completion of the Unholy Circle to prevent the Evil Bishop from fulfilling his plan. Only by saving Adelle can he save the world form Evil. If you need more information please contact the developers of Knights of the Temple (Starbreeze), or check out their product website.